The CWW blessing will occur during chapel Wednesday, Nov. 28, at 10:15 a.m. All students, faculty and staff who are a part of Christmas with Wartburg are invited to attend weekday chapel for an inspiring message from Wartburg College alumna Rachel Henkle '04, hear a preview of the CWW music from the choirs, and receive a blessing from the Rev. Dr. Brian Beckstrom before departing for West Des Moines later in the week. All are welcome! Service Trips is looking for faculty and staff who would like to be an advisor during either Winter Break or Tour Week. If you are at all interested in being an advisor, please click here to fill out a short interest form. This is strictly an inquiry, not a commitment. Join the Wartburg EARTH club on Thursday, Nov. 29, for a little sustainable crafting to get into the holiday spirit! At EARTH’s Recycled Holiday Ornament event, reuse recyclable items to create fun holiday decorations with minimal environmental impact. The event is 6-8 p.m. in the McCoy Rooms on the first floor of Saemann Student Center. Contact earth@wartburg.edu with questions. The Asian Student Association will have Indian dance and free henna Thursday, Nov. 29, from 7 to 9 p.m. in The W classrooms. Instructors will help teach you Indian dances in a group, and the best group performance will be rewarded with prizes; dancing will be followed by an hour of henna for free! Snacks and beverages will be provided. 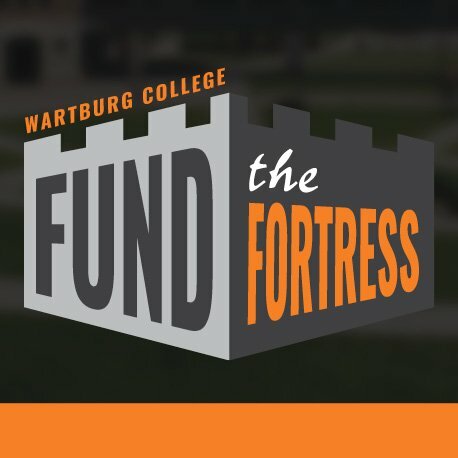 Contact asa@wartburg.edu with questions. 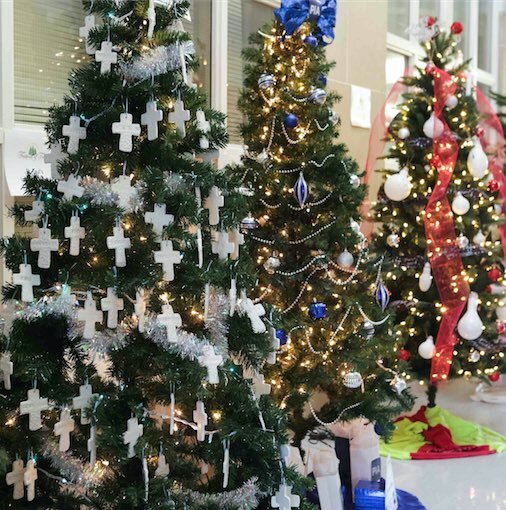 The annual Wartburg-Waverly Festival of Trees will brighten the halls of the Classroom Technology Center Nov. 28-Dec. 12. A partnership between the college and the Waverly Chamber of Commerce, the festival is open daily from 9 a.m. to 9 p.m. and attracts more than 5,000 guests each year. Author Chris Stedman speaks powerfully about how the Lutheran tradition intersected with his story (coming out as a teen and majoring in religion at Augsburg as part of discerning his humanist worldview). He will give a public talk titled “Faitheist: How the Lutheran Church Influenced an Atheist Activist” at 7 p.m. Thursday, Dec. 6, in McCaskey Lyceum. A reception (free food!) and book-signing will follow in the Castle Room. Click here to read more about Stedman’s book in a blog post by Dr. Caryn Riswold. This event is an example of how the Lutheran heritage and mission of Wartburg is expansive and inclusive. Stedman will also speak in weekday chapel on Friday, Dec 7. An event about Advent for religion majors and anyone interested in learning more about the season of Advent will be Tuesday, Nov. 27, from 7 to 9 p.m. in Chapel Commons. We will explore what the season of Advent (the weeks before Christmas) means for Christians. There will also be cookies and hot chocolate! Join the Wartburg community at the annual Candlelight Vespers Service on Sunday, Dec. 9, at 7 p.m. in the Wartburg Chapel. Preludial music will begin at 6:40 p.m. Choirs and student musicians will share music of the season. Dr. Kunihiko Terasawa, associate professor of religion, attended the Parliament of World Religions on Nov. 1 in Toronto, Canada, where 10,000 religious leaders gathered from all over the world. Terasawa also attended the American Academy of Religions in Denver, Colo., Nov. 16-20. During the conference, he was officially elected as a board member of the Society for Buddhist-Christian Studies. Matt Sacia ’19 has led the Knights for the last three seasons and now stands as one of the college's best quarterbacks, as reported by the Quad City Times. The women's soccer team fell 2-0 to UW-La Crosse in the first round of the NCAA tournament, as reported by the La Crosse Tribune and News800. The women's cross country team finished third at the NCAA Division III Central Regional Championships and received an at-large bid to the Division III Cross Country Championships at the University of Wisconsin-Oshkosh, as reported by the Waterloo-Cedar Falls Courier. Carina Collet ’21 won the race with a time of 21:45.9. The men's cross country team finished first at the NCAA Division III Central Regional Championships, securing an automatic berth into the Division III Cross Country Championships at the University of Wisconsin-Oshkosh, as reported by the Waterloo-Cedar Falls Courier. The wrestling team had three individual champions and three runners-up at the Luther Open, as reported by the Waterloo-Cedar Falls Courier. The football team beat Dubuque 47-28 to repeat as conference champions and guarantee the team a spot in the NCAA Playoffs, as reported by the Waterloo-Cedar Falls Courier and the Quad City Times. Wartburg College and the Archives of Iowa Broadcasting will use a National Endowment of the Humanities grant to preserve thousands of KWWL archive tapes, as reported by KWWL. Winter sport coaches talked about their hopes and expectations for the season during the college's annual Winter Media Day, as reported by the Waterloo-Cedar Falls Courier.